Two days/One night – Pack more memories than you could ever expect into two days! We wind our way through the photogenic Thu Bon river delta, capturing a glimpse of everyday rural Vietnamese lifestyles and head deep into the heart of Central Vietnam, exploring such sights as the Cham and/or My son temples, Ho Chi Minh trail, Marble Mountain, rainforests and waterfalls. Our trail takes us through a number of ethnic minority villages where we have the incredible privilege of staying overnight in outwardly traditional but comfortably modernised hill tribe bungalows. Our time here will be complete with a guided tour through the village, traditional cultural performance, and dining with the locals. An unforgettable two-day adventure. 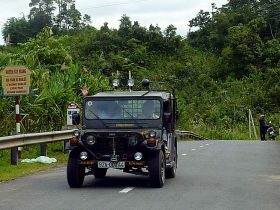 I’ve now done three tours with Hoi An Jeep Adventures (and am hoping to go on more) and each trip provides a combination of gob-smacking scenery (sometimes in wide-scale such as landscapes, at other times tiny vignettes in a larger picture), cultures, people, and sites of historic interest. I’ve just completed the Hill Tribe Village Adventure and it is such a fantastic tour that if you have two days available you must do it. The description of the tour is accurate, and the accommodation at Bho Hoong village superb. Not to mention the food; you most certainly won’t leave hungry. 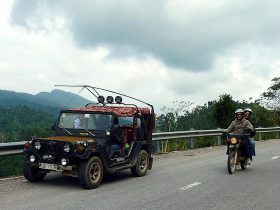 I have no reservations in recommending HAJA, and a ride with them will be one of the most enjoyable times you’ll have in Vietnam. Seriously – the highlight of our Vietnam trip! Both my husband and I agreed we learned more in 2 days on this trip than the remainder of our trip. And honestly, after the highlight of this trip, the rest of the trip had a hard time living up to it. 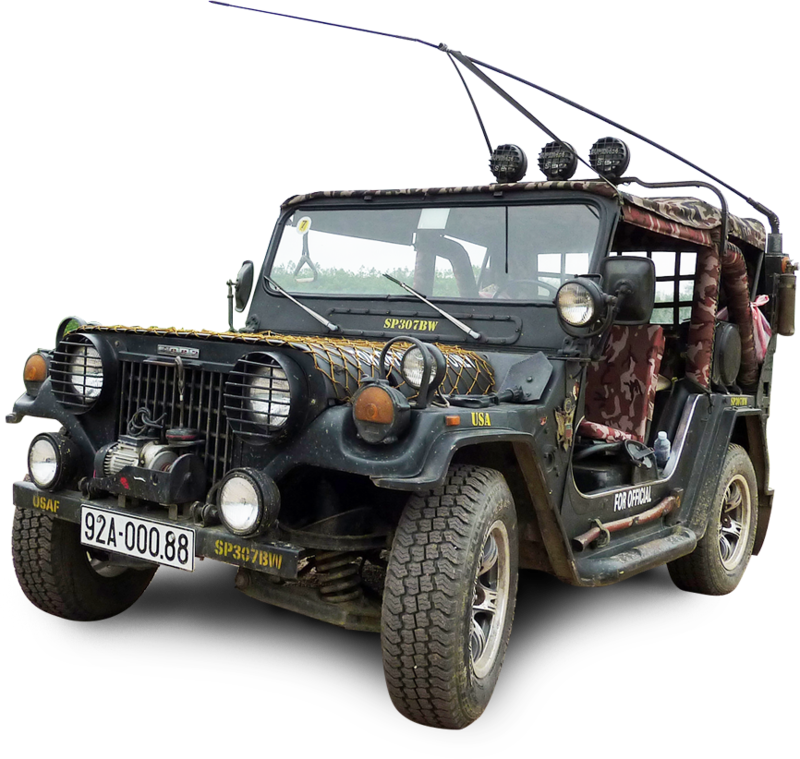 Hoi An Jeep Adventures definitely gets a 5+ star rating from us. The crew was great and the people we met along the way were phenomenal. If you are the type of traveler that revels in getting off the beaten track, this is for you: small groups (we only had one other couple with us), amazing food and truly local. Would do this tour again in a heartbeat. Love, love, loved it!! !